Frankly speaking most of the people dislikes Internet explorer and turning to many other web browser. There are many reasons for disliking internet explorer. Today let us see what are the major problems with explorer. 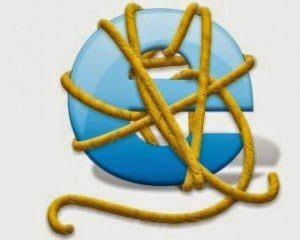 The main trouble started when microsoft integrated internet explorer in windows and made it difficult to uninstall and use another browser (but not now). IE takes unwanted screen space. It is very slow and unsightly. We had many options like leak, minimal list in Google chrome, opera and other browsers. Comparing with all web browsers it takes much time to load. Microsoft had no longer plan to update IE. There is a great problem with security issues in internet explorer compare with other browsers. But now microsoft saying good bye to IE and going to launch a new web browser named Project Spartan. They are going to launch this new explorer (Project Spartan) with windows 10.